Brexit is saturating the mobile market, how can businesses stands out? Now is the perfect time to implement alternatives to apps which simply enhance technology that is already available. The UK’s decision to leave the European Union has been a long debated topic since it was announced back in June last year. After six months of "Brexit means Brexit" and "no running commentary", our Prime Minister, Theresa May, has finally committed herself to a speech this Tuesday when she may at last say something concrete about her plan for our departure. In the meantime, many industries are already having to face the very real impact of Brexit, paving their own way through the uncertain terrain without any official guidance. And, just this week, it was announced that the mobile industry is yet another to be added to the ever-growing list of those affected by Brexit. A recent report by 9to5Mac revealed that the App Store prices in the UK are set to increase by more than 25 per cent following Brexit exchange rate fluctuations. Apps that previously cost £0.79 will now cost £0.99. These prices put the UK’s app store pricing on par with dollar pricing in the US. Apps that now cost £0.99 will cost $0.99, for example, due to a combination of the weakened pound and the UK’s 20 per cent VAT rate. But it’s not just the UK that will suffer. India and Turkey have also been identified as countries that will be affected. As it stands, people are already reluctant to pay for applications. Put a pound sign in front of an app, and the number of people who are willing to download it drops dramatically. It is of course too early to tell the true impact that this will have on businesses that rely on apps but, rather than investing copious amounts of time and money trying to make your app stand out in an ever competitive market, surely now is the perfect time to implement alternative solutions which simply enhance technology that is already available on most mobile phones to engage with customers. Technology like SMS, say? SMS doesn’t require mobile data or internet connection to be able to receive a message, just good old fashioned network signal. Essentially anyone, anywhere with a mobile number is reachable and whopping 90 per cent of text messages are read within just three minutes of delivery making it an ideal way for businesses to communicate with their customers. On top of this, the cost of sending an SMS for businesses is very low and there are no costs associated with receiving an SMS for the customer; unlike when downloading an app. Even those that are free often have a number of in store purchases which, by the way, will also be affected by this price rise and research has found that 99 per cent of apps are only ever even used once! Rising prices are being observed everywhere consumers look; in air fares, food and even motor fuels. 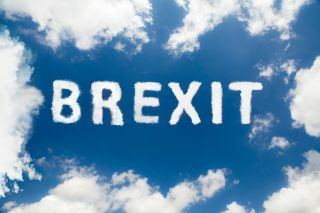 At this time of uncertainly, as we move closer towards a post-Brexit era, businesses should be looking at ways to draw their customers in, adding value to their experience, and rewarding them for their loyalty. Although mobile messenger apps may be popular for the individual to socialise and chat easily, business is far better suited to the world of SMS.